Garbage men, garbage collectors or trash men as you prefer to call them are people we take for granted. I mean, they are there but they pass you by and you pretend they are part of the urban furniture. That's how we thank people that clean our crap. These people should be paid more respect. In fact all those that wake up very early in the morning to do their job, "lousy" jobs no one's willing to do, deserve some respect. Dirty jobs that somebody's got to do. As they do empty the trash containers during the middle of the night over here, a bit difficult to get a picture of, yet would like to thank you for the challenging thought - and the importance of your voice to be heard across the world. A wonderful Friday for you. I remember the garbagemen very well. They usually came in the middle of the night, waking me up. But at least the trash was emptied. Do you know how much these folks make an hour? 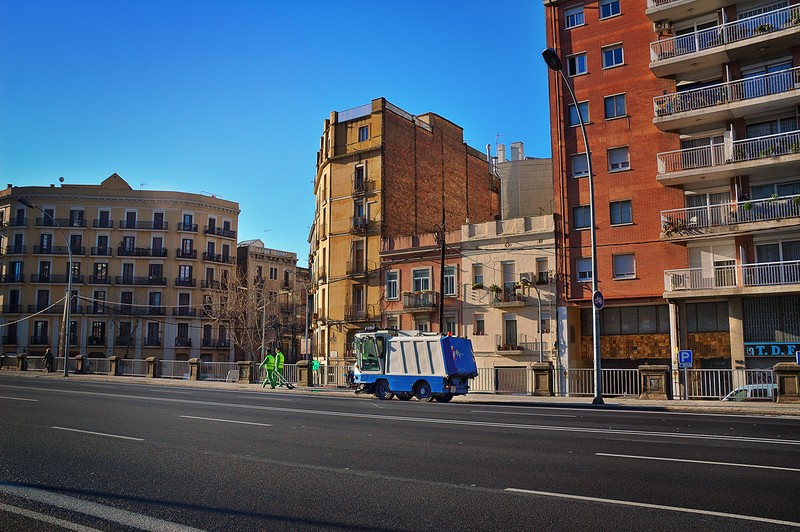 I'm always impressed by the large numbers of cleaners I see in European cities. Imagine what kind of quality of life we'd have without these services. i know what you mean!! i always manage to give them a smile everytime i pass by them. Absolutely! Somedy has to do the dirty job! !